The holiday of Shevuis (Shavuot) begins Saturday night, May 23. Join KlezCalifornia (and more than 600 people) at the East Bay'sTikn Leyl Shvuis (Tikkun Leyl Shavuot), from sundown to dawn. Karen Bergen and Anthony Russell will present KlezCalifornia's workshop, "Reaping in Song: The Weekend and Yiddish Protest Culture." Scroll down to learn more! The next KlezCalifornia Yiddish Culture Festival will be November 7-8 at the JCC East Bay. Put it on your calendar now! -- Submissions for the June newsletter HERE by May 22. Sunday, May 3, 2:00-4:00pm, KlezCaliforniaFlisik Yidisheh Salon. For fluent Yiddish speakers. Mir veln redn fun reyneh vitzn (clean jokes), alteh fakhn (old professions), a muter's geshikhteh (mother's stories), un shpiln mit verter(word play). Az ir kent, breng epes far a nosh. No charge. More info: 415.789.7679,flisik[at]klezcalifornia.org. Sunday, May 3, 2:00pm, Poland: A New Jewish Frontier, a presentation by Ellie Shapiro. Poland's rich Jewish legacy lay buried under the ashes of the Holocaust for decades until 1989. Since then, Poland's return to democracy has opened new possibilities regarding the country's Jewish heritage. Ellie Shapiro spent a year living in Cracow doing research on Jewish cultural initiatives currently taking place in Polish small towns. In this multimedia presentation, she shares what is new in the Old Country and why it matters for American Jews, most of whom trace their roots to territory once part of Poland. Co-presented by KlezCalifornia. No charge. More info: 415.567.3327, Jewish Community Library. 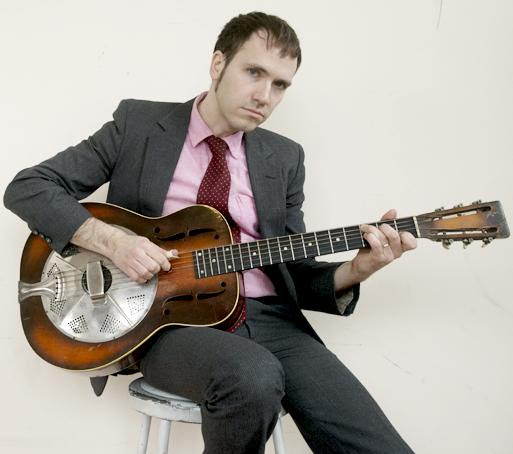 Thursday, May 7, 7:00pm, Exploring Khazones, a presentation by Jeremiah Lockwood. Khazones, the rich cantorial tradition of Ashkenazi Jews, once played an enormous role in the lives of American Jews. In the "golden age" of the early 20th century, 78 rpm discs recorded by the great cantors of the day sold in the hundreds of thousands. Musician and scholar Jeremiah Lockwood, who trained under his grandfather, celebrated Cantor Jacob Konigsberg, and performed in his choir, will present the history of khazones,from its development in 19th century Europe through its manifestations today. His presentation will include musical examples from classic recordings, as well as his own performance. Co-presented by KlezCalifornia. No charge. More info: 415.567.3327, Jewish Community Library. Saturday, May 23, time TBD, Reaping in Song: The Weekend and Yiddish Protest Culture, with Karen Bergen and Anthony Russell. Part of Tikn Leyl Shvuis (Tikkun Leyl Shavuot), community- wide educational programming from dusk until dawn. A unique night of Jewish learning, a spiritual journey bringing together people of all varied perspectives and affiliations. The American fight for workers' rights began in union halls and picket lines - but also from the pens of poets and voices raised in song - more often than not, in Yiddish. Join vocalist Anthony Russell and educator Karen Bergen as they discuss - and sing! - about how Yiddish speakers and Henry Ford (not a friend of Jews) collaborated to give you the two-day weekend. Anthony Mordechai Tzvi Russell is a vocalist specializing in Yiddish song. 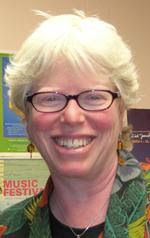 Karen Bergen is a Board member of KlezCalifornia who is developing Yiddish culture activities for people of all ages. Presented by KlezCalifornia. No charge. More info: 846.606.0744, JCC East Bay. Sunday, May 3, 10:00am-12:00noon, Yiddish Today, presented by Jon Levitow. Yiddish in the contemporary world. Light refreshments. No charge. More info: 408.264.8542, Congregation Sinai. Monday, May 4, 6:00-8:00pm, Hernandez Hideaway. Part of Klezmer Mondays. Entertainment free with minimum $10 purchase. More info: 510.848.3354, Saul's Deli. Friday, May 8, Orchestra Euphonos (klezmer) and two Balkan bands. Part of Berkeley Balkan Bacchanal. Tickets: $10-$15 sliding scale at the door. More info: Berkeley Balkan Bacchanal. Sunday, May 10, 5:00pm, Heather Klein sings in Yiddish, numerous other singers in Russian, part of a gala concert observing the 70th anniversary of the victory over Germany in the Great Patriotic War, 1941-1945. Refreshments after the concert. Tickets: $10 from the JCC's Émigré Department. More info: 415.292.1298. 415.292.1239. Sunday, May 10, 7:30pm, All Points East: Poetry Reading with Jake Marmer, Ariel Resnikoff, and Leora Friedman. No cover, reception to follow. Marmer's and Resnikoff's poetry reflects Yiddish/klezmer inspiration. More info: jakemarmer[at]gmail.com, Event's Facebook Page. Monday, May 18, 12:00noon-1:45pm, Jubilee Klezmer. Part of Friendship Circle for Seniors 55+. Lunch, entertainment, and celebration of Harry Hankin's 100th Birthday. Rsvp by May 13 to707.528.1182, jackin[at]jccsoco.org. Monday, May 18, 6:00-8:00pm, Ghost Note Ensemble. Part of Klezmer Mondays. Entertainment free with minimum $10 purchase. More info: 510.848.3354, Saul's Deli. Sunday, May 31, 4:00pm, Froyenlibe un Lebn (Women's Lives and Loves), a Yiddish folk song cycle with Sharon Bernstein. Part of series "Music in the Mishkan." Program also includes works by Brahms and Faure. Tickets: $20 general / $15 Sha'ar Zahav members. More info: 415.861.6932,Sha'ar Zahav. Wednesday, May 27, 7:00-8:00pm, Klezmer Creek performance followed by jam. FourthWednesday Klezmer Nights. Entertainment free with $5 minimum purchase. More info: 707.544.2491,gaiasgardenonline.com. Until Sunday, May 24, Letters to Afar, by filmmaker and video-artist Péter Forgács along with The Klezmatics. Revisit movies made by Jewish immigrants from the U.S. who visited their hometowns in Poland during the 1920-30s. Forgács rewrites these "visual postcards." Included in museum admission ($12 general / $10 seniors, students / $5 Thursdays after 5:00pm / no charge 18 and under). More info: 415.655.7800, Letters to Afar. Thursdays after 5:00pm / no charge 18 and under). More info: 415.655.7800, Poland and Palestine. Until Thursday, June 25, Mi Polin / From Poland. Judaica, Jewish design and community-based art by Helena Czernek and Aleksander Prugar. More info: 650.212.7522, Peninsula JCC. Until Tuesday, September 1, Jews and Cartooning. Works by eleven cartoonists. No charge. More info: 415.750.7545. Link to many sources about Yiddish language and culture from U.C. Santa Cruz Library. (thanks to Rivka Greenberg) . -- Summer Program in Yiddish Language, Literature, and Culture, four levels, at YIVO in New York. Apply by May 1. More info: 212.246.6080, YIVO. -- Summer Program in Yiddish Language and Literature, July 19 - August 14, four levels, at Vilnius University, Lithuania. More info: +370.5.268.7187, Judaic Vilnius. -- Fall, Yiddish 101, Monday to Friday, 10:00-11:00am, U.C. Berkeley. More info: German Department. -- Fall, The Feminine Voice: 20th-Century Women's Yiddish Poetry, taught by Yael Chaver. Thursdays, 11:30am-12:30pm, U.C. Berkeley. More info: German Department. Proverb of the month: Words should be weighed, not counted (Verter zol men vegn un nit tseyln)(thanks to Yiddish Wit). Sunday, June 14, 2:30pm, Di Mayse: Celebrating Stories of Beloved Yiddish Authors, 89th Annual Concert of the Jewish Folk Chorus of San Francisco. Folk songs in Yiddish, Hebrew, Ladino, and Russian. Advance tickets: $10. At the door: $15 general / $12 students, seniors and people with disabilities. Buy tickets: 510.220.6325, Brown Paper Tickets. More info: Jewish Folk Chorus. Wednesday, June 24, 7:00-8:00pm, Klezmer Creek performance followed by jam. FourthWednesday Klezmer Nights. Entertainment free with $5 minimum purchase. More info: 707.544.2491,Gaia's Garden. presented by Anita Epelbaum Weinstein. Tickets: $26 advance / $30 door. More info:510.644.2020, The Freight. Friday, June 26, 8:00pm. Orquesta Victoria. See June 24 event for program description. Tickets: $26 & $30, from City Box Office. More info: Marines' Memorial Theatre. Friday, June 26, to Sunday, June 28, time TBD, Klezmer/Khasidik Dance Workshop, with Bruce Bierman. Part of Limmud Bay Area. More info: Limmud Bay Area. Saturday, June 27 - Saturday, July 4, Learn East European fiddling with many teachers, including Miamon Miller. Miller plays with klezmer bands as well as Balkan, mariachi, Middle Eastern, and jazz. Part of Balkan Camp. Full-time (for adults: $900 if you register before June 1), three-day, and four-day packages. More info: 510.547.1118, Balkan Camp. Sunday, June 28, 4:15pm, Silicon Valley Jewish Music Festival with Matisyaho Unplugged, Hot Kugel, Octopretzel, Red Hot Chachkas. 2:00-7:00pm. Tickets: $10 general / $5 JCC members / free kids 17 and under. More info: 408.357.7492, Addison-Penzak JCC. Sunday, June 28, times TBD, Yiddish: So Old It's New Again, with Jon Levitow; Jewish Jokes, with Rabbi Richard LItvak; performance by Jeff Brody and his Gypsy Klezmer All Stars; sing-along featuring the music of George Gershwin and Yip Harburg's "Somewhere Over the Rainbow." Part of Temple Beth El Jewish Cultural Festival, 11:00am-5:00pm. No charge. More info:831.479.3444, Temple Beth El. Dr. Martin and Rena Bobrowsky: In honor of granddaughter Anna's bat mitzvah and grandson Seth's bar mitzvah. Donors of $54 (3 chai/khay) or more may choose one of four "thank you" gifts: * "Live and Be Well, A Celebration of Yiddish Culture in America," by Richard F. Shepard and Vicki Gold Levi (192 pp.) * "The Oy Way," a 115-page book by Harvey Gotliffe, which helps you learn Yiddish expressions while engaging in meditative exercise. See theoyway.com. * DVD of the wonderful 80-minute "Yiddish Theater: A Love Story" (newlovefilms.com). * Eight beautiful, brightly-colored, 5"x7" music-themed greeting cards designed by Sonoma County artistNina Bonos. Your donations help KlezCalifornia keep Bay Area Yiddish culture and community vibrant and thriving. Plaus, you'll be invited to two special KlezCalifornia parties each year. Make your tax-deductibledonation via credit card or with a check to KlezCalifornia at 1728 Allston Way, Berkeley 94703. A sheynem dank! Thank you very much!